Whether your wedding is a small and intimate affair or a grand celebration, there will be a cake that fits the bill perfectly. Your wedding cake should reflect your personality as well as your décor, and taste as good as it looks. At White Hyacinth, you are involved in every step of the design of your cake, and our aim is to put every effort into making your cake a wonderful centrepiece. In order to give you a definite price for your cake, you will be invited to attend a consultation, either here or at your home, where we can discuss your ideas and come up with a design that is unique to you. When you attend the consultation, you will receive a list of prices for all aspects of decoration available to you. This will enable you to "pick and mix" the amount you add to your basic cake price. This is unique to White Hyacinth and is aimed to help you stay within your budget. Delivery and set-up is free within a 10 miles radius of CV35 0TR, with a baseline charge of 50p a mile (round trip) for deliveries outside that area. This charge covers fuel plus the time and labour involved in erecting your cake/s. Please see the price guide for your basic iced cake. 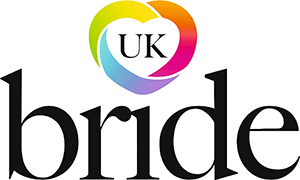 I am delighted to now be listed as one of UK Bride&apos;s selected suppliers.